Lorena was a retired employee of Fruit of the Loom in Campbellsville. She enjoyed sewing at home and was a member of the Red Hatters. She united in marriage to Wallace Lewis January 16, 1960 and he preceded her in death June 15, 1992. 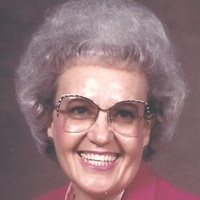 She is survived by two daughters: Marlene Harper and husband, Sam and Cindy Murphy of Campbellsville; four grandchildren: Chris Harper and wife, Tabitha, Nikki Allen and husband, John, J. R. Murphy and Paige Murphy of Campbellsville; seven great-grandchildren; three brothers and one sister: Donald Gray and wife, Patricia, Raymond Gray and wife, Betty, Gary Wayne Gray and wife, Patricia and Mabel Karnes and husband, Ronnie of Campbellsville; several nieces and nephews and many other relatives and friends.